True beauty deserves a second look... even if that beauty is the dreaded Medusa. Fear not and feast your eyes upon the exquisite beauty of Medusa's Gaze Statue in the Fantasy Figure Gallery collection. 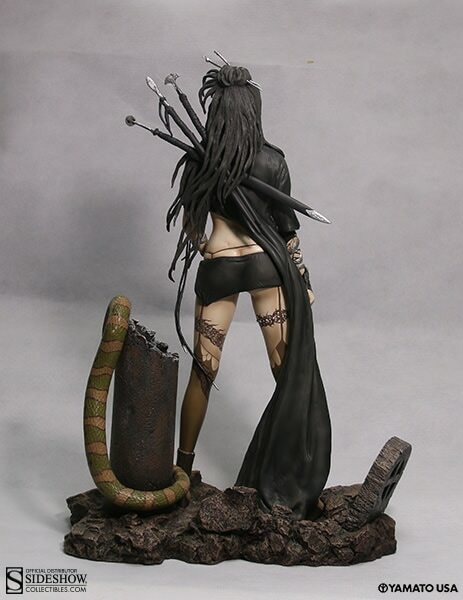 Sideshow Collectibles and Yamato USA are excited to present this statue inspired by the art of Luis Royo as interpreted by master sculptor Shungo Yazawa, Medusa's Gaze is reborn here by popular demand in a bold new form including an elaborately themed display base.